B4Work, our morning networking event has been a huge success with plenty of congenial fun and lots of business generation for all. Why not join us this Friday morning? It's fresh, it's free and it's a great way to launch your day and launch new relationships! 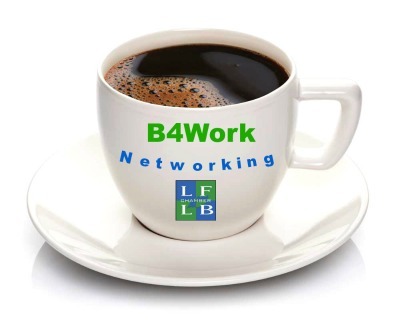 Bring plenty of business cards, plenty of friends, and a 30-second introduction of your business -- our meetings are held at the beautiful offices of LifeWorking Coworking (located at the corner of Forest & Westminster).